The purpose of this policy is to explain how Abbey Blinds collects protects and uses personal data. Abbey Blinds is committed to ensuring that any personal data supplied by its customers or is otherwise generated by its business activities is collected and processed fairly and lawfully in accordance with the UK Data Protection Act 1998. What Types Of Personal Data Does Abbey Blinds Collect? Abbey Blinds needs certain personal data to enable it to provide its products and services to its customers and end users. The personal data collected will generally include: company name, company size and sector, individual contact names and job titles for delivery, installation, support and billing postal address, telephone and fax numbers, and e-mail addresses. Abbey Blinds also has access to personal data that is generated over the Abbey Blinds network including IP and email addresses for incoming and outgoing data, and network usage data. In certain circumstances Abbey Blinds may also collect financial information about Abbey Blinds customers and end users from third parties to enable Abbey Blinds to assess its risks in granting credit terms and contact information about organisations Abbey Blinds considers may be interested in Abbey Blinds products and services. How Does Abbey Blinds Obtain Personal Data? Abbey Blinds obtains personal data in a number of ways including from orders placed by customers and end users (whether by telephone fax or email or by application form) from enquiries made by existing customers and potential customers (including information gathered at marketing events and via the Abbey Blinds web site) from third party list brokers from resellers who pass on personal data to Abbey Blinds about end users and directly from the Abbey Blinds network. How Does Abbey Blinds Use The Personal Data That It Holds? Most of Abbey Blinds use of personal data is necessary to enable it to provide a service to its customers and its end users including order processing, delivery installation and support services, as well as for invoicing and in order to answer general customer enquiries. In addition, Abbey Blinds may also use personal data to improve on the level and type of service Abbey Blinds offers to its customers. As part of this interest in improving the service provided, Abbey Blinds may process personal data for the purposes of sales analysis and customer usage statistics. Abbey Blinds may from time to time inform its customers, end users and potential customers about Abbey Blinds and Abbey Blinds affiliate products and services, and other information Abbey Blinds feels may be of interest. Customers and other recipients of information from Abbey Blinds may indicate at the time they first place an order with Abbey Blinds whether or not they wish to receive such information or at any later time by simply contacting Abbey Blinds. To Whom Does Abbey Blinds Disclose Personal Data? Abbey Blinds will pass personal data within its internal departments in order to fulfil sales and support obligations as well as to finance departments to enable invoicing. As a general rule Abbey Blinds does not disclose personal data to unaffiliated third parties except where customer consent has been obtained, where Team Leaders Ltd is under an obligation by law to disclose personal data, or where Abbey Blinds has contracted with third parties to assist in providing services to Abbey Blinds customers such as for delivery, installation and systems support services. How Does Abbey Blinds Protect the Personal Data it Holds? Abbey Blinds takes customer confidentiality and security very seriously. Abbey Blinds has implemented appropriate internal security procedures that restrict access to and disclosure of personal data within Team Leaders Ltd. These procedures will be reviewed from time to time to determine whether they are being complied with and are effective. Abbey Blinds will also actively investigate and cooperate with law enforcement agencies any allegations of abuse or violation of system or network security as set out in the applicable Abbey Blinds Acceptable Use Policy. European Economic Area legislation gives individuals whose personal data is held by Abbey Blinds specific rights to access and rectify personal data held about them. These include the right to: obtain from Abbey Blinds for a prescribed fee confirmation that personal data is held as well as a written description of such personal data the purpose(s) for which it is being used the source(s) of the personal data and details of any recipients request the deletion or rectification of personal data which is inaccurate as explained in Direct Marketing above to object to any unsolicited information sent by Abbey Blinds regarding promotions or new products and services. 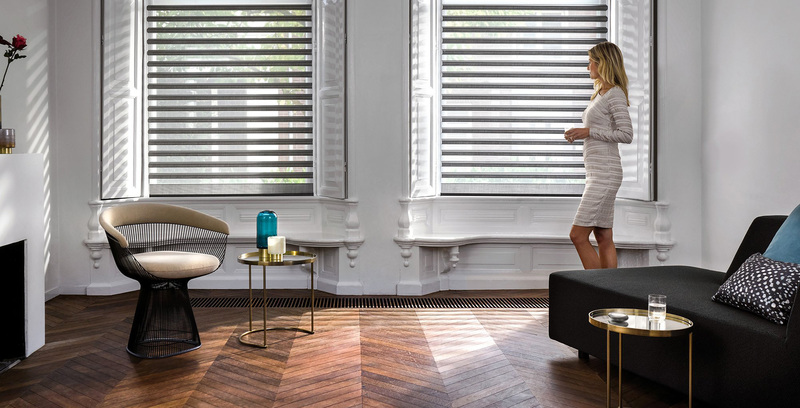 As part of Abbey Blinds commitment to compliance with data privacy requirements, and to reflect changes in Abbey Blinds operating procedures, Abbey Blinds may alter the terms of this policy from time to time and will post the revised policy on this website.